Any sugar hangovers out there? Anyone? Well I am recuperating today, not from a sugar high but from my mini vaca to NOLA (New Orleans) this past extended weekend. Lot’s of fun but I really need a day to relax from all the music, po-boys, beignets, fried alligator meat, and the other sights and sounds of NOLA (who knew New Orleans had a huge beautiful city park). Often given such descriptions as the world’s healthiest food, the perfect food, and essential to one’s diet; avocados are haled as an almighty super fruit. Avocados, also known as Alligator pear for their leather like appearance, are a fruit from the Persea Americana tree. There are approximately seven varieties of avocados grown for consumption; with the Hass variety being the most popular, due to its year round availability, excellent shelf life and rich, creamy flavor. Often given a bad rap for their high fat content, avocados are actually full of the heart-healthy monounsaturated fat shown to help reduce cholesterol. Avocados are low in calories and high in Vitamins C, E, K, B6, magnesium, folate, and potassium. Studies have shown that eating this nutrient dense food, can help prevent cancer and heart disease, regulate blood sugar levels, and promote healthy skin. When selecting avocados for immediate consumption, gently squeeze the fruit in the palm of your hand. A ripe, ready to eat avocado will be firm but slightly soft, with no dark spots or cracks; and can be refrigerated for 2 to 3 days. A firm, unripened avocado should be stored at room temperature for several days. To freeze avocados, puree the flesh with 1 to 2 tablespoons lemon juice and store in air tight packaging for 3 to 6 months. Since the avocado begins to turn brown when exposed to air it is important to work quickly when handling avocados. To prepare an avocado, use a sharp knife and cut the avocado in half lengthwise. Gently twist the two avocado halves in opposite directions and pull apart. Remove the pit by piercing it with the tip of a knife, then using a spoon scoop out the tender flesh and serve. Since avocados have enormous health benefits they are the perfect addition to sandwiches, salads, or soups. They can be smashed into guacamole, spun into ice cream or even transformed into a face mask. 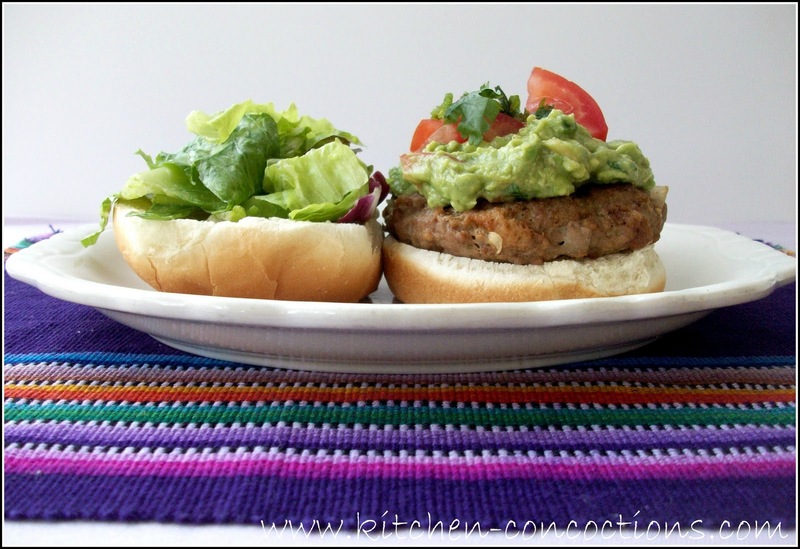 These Turkey Guacamole Burgers are juicy and full of flavor. They are the perfect meal to enjoy during the last few days of warm grilling weather or can be enjoyed in the dead of winter if prepared on an indoor grill pan. Preheat grill pan for medium high heat. Combine the first seven burger ingredients in a large bowl, and mix thoroughly together. Form meat mixture into four patties. Place prepared burgers on grill pan and cook 4-5 minutes per side. 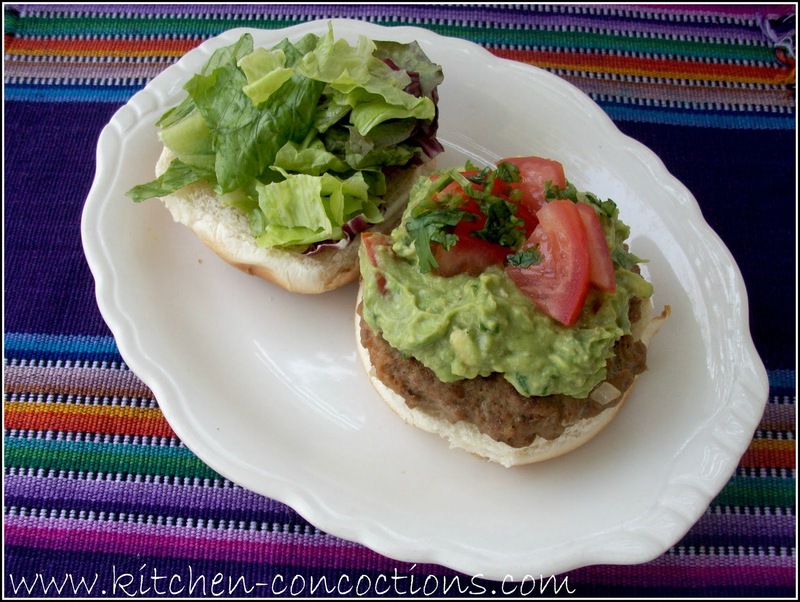 Serve burger patties on buns topped with guacamole, lettuce, and tomato. Cut the avocados in half. Twist the halves in opposite directions and pull apart. Remove the pits and then scoop out the avocado flesh into a medium bowl. Mash the avocado with a large fork. Stir in the remaining ingredients. If not using immediately, cover with plastic wrap pressing the plastic wrap directly on the surface of the guacamole and refrigerate.